Klook的BritRail通行證的精彩體驗。交貨在一周內完成。我們很愉快地在倫敦郊區旅行。通行證已被識別，也可用於希思羅機場快線，因此您可能希望省錢。有些電台不要求你寫日，所以我們實際使用了4天的通行證而不是3天的通行證。通行證也可以通過火車前往華納兄弟哈利波特工作室。非常物有所值，特別是當英格蘭的交通費用昂貴時。強烈推薦！ Wonderful experience with Klook’s BritRail passes. Delivery came within a week. We had a great time traveling the outskirts of London with ease. Pass was recognised & can be used on Heathrow Express too so you may want to save money on that. Some stations don’t require you to write day so we actually used the pass for 4 days instead of the states 3 days. Pass can also be used to travel to Warner’s Brother Harry Potter Studio via train. Very value for money, especially when England is expensive on their transportation. Highly recommended! 它很容易使用，乘火車在倫敦旅行。您無需事先預訂火車票。乘坐通行證前往布萊頓和牛津，以節省時間和金錢。 It is easy to use and travel at London by train. You need not book the train ticket beforehand. 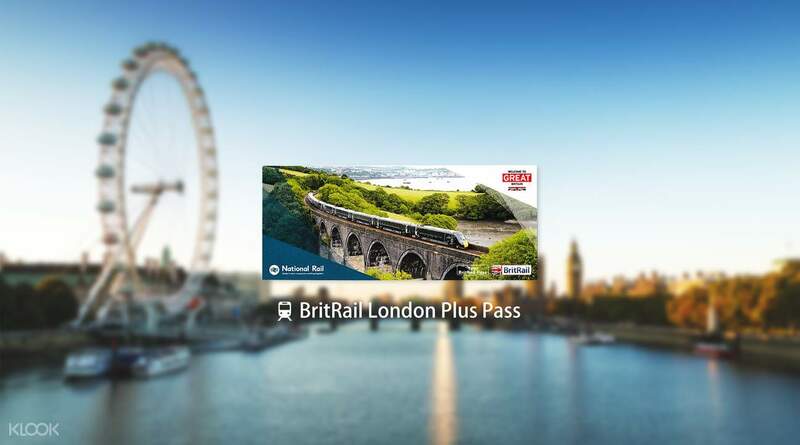 Travel with the pass to Brighton and Oxford to save time and money. 一個非常方便的物理傳球！火車不需要事先預訂，即使在高峰時段和免費座位，您也可以自由登機。 A really convenient physical pass! No prior booking is required for the train & you can freely board any even during peak timing and with free seating.